William Cary bought 491.5 acres in 1813 for $3,440, almost an entire section of land, from Jabez O. Tunis, little did he know of the importance of the little community that he founded. First named Pleasant Hill, then Cary’s Academy and finally College Hill, it became synonymous with education. Cary’s Academy, Farmers’ College and the Ohio Female College swelled the population of this district with a concentration of highly educated teachers, lawyers, ministers and doctors. Largely self taught, William Cary valued education and passed that belief on to his children along with his belief in for hard work. Cary attracted like minded settlers and family members such as the Strongs, Howards, Skillmans, and VanZandts. These Presbyterians worshipped at Mt. Pleasant (Mt. Healthy) and in the chapel of Farmers’ College. The College Hill Presbyterian Church was established in 1853 with Dr. Rev. 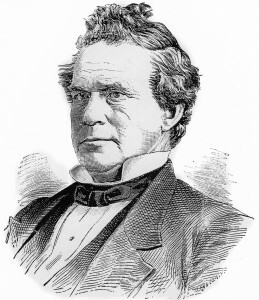 Robert H. Bishop as the head. A church was built where the College Hill Presbyterian Church is today in 1855. Samuel and Freeman Cary pledged $6,000, which was half the cost of erecting the building. The contributors for the rest of the funds were William Cary, D. B. Thomas, Rev. John Covert, Samuel Wilson, Alphonso Wood, John W. Caldwell, Alanson and Josiah Grant, Zebulon Strong and the Huntingtons. The Ludlow, Roll, Crary and Rev. D. Howe Allen of Lane Seminary were also part of the Cary extended family. The Witherby family, also related to the Carys, was Methodist. William Cary offered free land if Lane Seminary were built here, but the closer to Cincinnati suburban location of Walnut Hills was chosen. The Wilsons, Rev. Jonathan Cable, Dr. Rev. Robert H. Bishop and Dr. Rev. John W. Scott are but a few who moved here to be near or to teach at Farmers’ College. These were a moral group and were against slavery. Because of breaking the law, their participation in the Underground Railroad has come to us largely through oral history. Harriet N. Wilson’s letter to Ohio State Professor Wilbur H. Siebert presents us with the most concrete participation anecdotes, and even then she only gave first initials. For many years, involvement with the Underground Railroad was simply not written about or spoken of. His son, Freeman Grant Cary, graduated from Miami University, and founded Cary’s Academy for Boys (1832) in his own house , now at 5651 Hamilton Ave. The frame house had originally been built by John Strong in 1819 and sat several sites south of the present location. There are not any tales connecting him to the Underground Railroad until the Academy outgrew is buildings and Farmers’ College was built. The grounds had many outbuildings and the central tower is mentioned in Harriet Wilson’s letter as being a hiding place. Freeman was instrumental in bringing the abolitionist teachers, Dr. Rev. Robert H. Bishop and Dr. Rev. 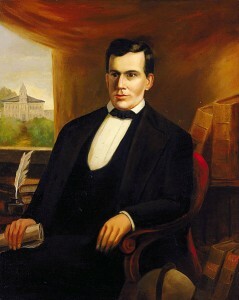 John W. Scott, to Farmers’ College. These learned men had taught him at Miami University and were being dismissed for their religious positions against slavery. Dr. Bishop was the President that university and had run afoul of the board members by opening a Sunday school for African Americans without the university’s approval. Rev. Scott was his close friend preached anti-slavery sentiments. He lived at 7601-7603 Hamilton Avenue and the brick house is said to once have been a station on the Underground Railroad. Scott’s daughter, Cary, married President Benjamin Harrison. Harrison was a student at farmers’ College when they met. Harrison too is said to have been active in the moving of freedom seekers between hiding places. Another son of William Cary was Samuel Fenton Cary whose house was across Hamilton Avenue from that of Zebulon Strong (upper parking lot of Twin Towers today). Leading up from the steep ravine, a tunnel extended from the back of a small cave underneath Windermere Way and opened in the stables behind Samuel’s house. This was discovered years later when Twin Towers was being built. The weight of the stone wall used to build Windermere Way collapsed the tunnel and exposed the path to the stables. 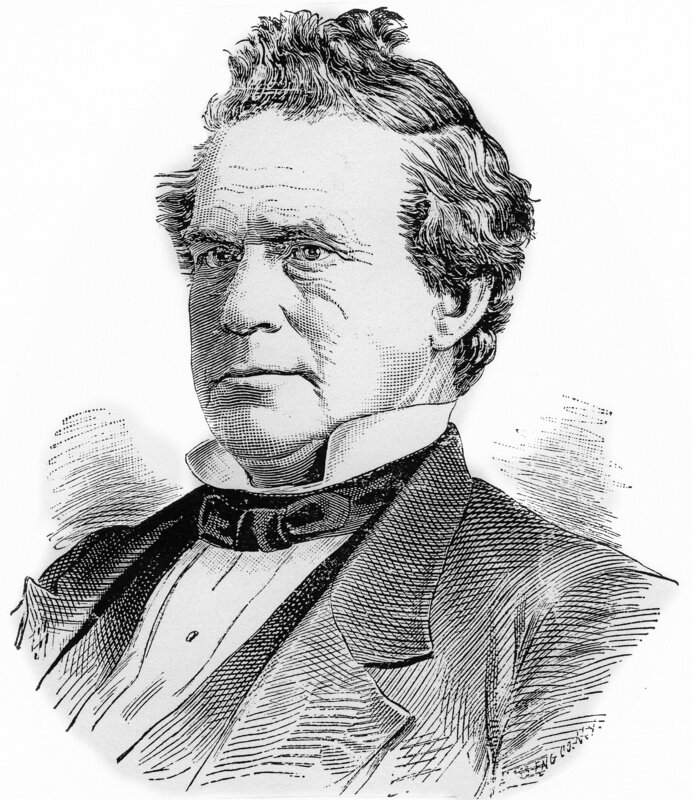 Samuel was a lawyer and a law partner of William E. Caldwell who later became Chief Justice of the Supreme Court of Ohio. His personal cause was temperance and after the Civil War traveled the county leading the Sons of Temperance organization. The Carys were politically active. On June 21, 1837 the Cincinnati Daily Gazette printed an account of a meeting at Mt. Pleasant (Mt. Healthy) “of citizens opposed to the present administration of National Government” listing William and Freeman Cary as signing the declaration. In 1838 William Cary was one of the nominators of William Henry Harrison for president. 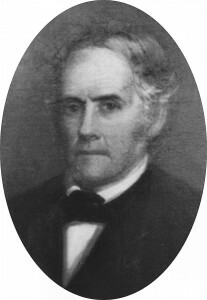 Samuel Fenton Cary was also very active in this campaign stumping for Harrison. William and Freeman G. Cary were among the signers of the Hamilton Co. Anti-Slavery Convention (May 5, 1841) published in the Philanthropist. Held at Mt. Pleasant (Mt. Healthy) They declared themselves “the citizens of Hamilton County opposed to the support and protection of the system of Slavery by the Government of the United States.” In 1842 William was nominated for the House of Representatives by the Liberty Party (anti-slavery political party). All three of the Carys continued to be active in the Republican party. until after the Civil War. 1. Lestick, Lawrence Thomas, The Lane Rebels: Evangelicalism and Antislavery in Antebellum America, The Scarecrow Press Inc., 1980. 2. Cincinnati Enquirer, College Hill 100 Years Old—Its Interesting History, April 5, 1914.